With the abundance of programming and content sources to view on your TV, it is important to note that not all those sources have the same video resolution. Incoming signals from broadcast/cable/satellite/DVD/streaming, etc... may not have the same video resolution that your TV is capable of displaying. In order to provide the best viewing quality for different sources, video upscaling may be needed. 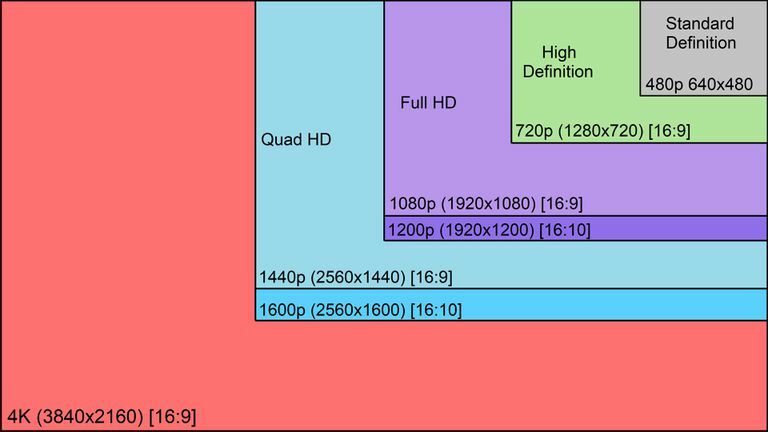 Video upscaling is a process that mathematically matches the pixel count of the output of a standard or non-high-definition video signal (such as standard DVD, on-HD cable/satellite, or non-HD streaming content) to the displayable physical pixel count on an HDTV or video projector, which may be 1280x720 or 1366x768 (720p), 1920x1080 (1080i or 1080p), or 3840x2160 or 4096x2160 (referred to as either 2160p or 4K). The upscaling process does not magically convert a lower resolution to a higher resolution - it is merely an approximation. In other words, an image that is upscaled to a higher resolution will not look the same as an image that is native to that higher resolution in the first place. Another thing to take into consideration is that although upscaling is designed to improve an image quality of lower resolution video signals, if that signal contains additional embedded artifacts, such as excessive video noise, poor color, harsh edges, or is otherwise unstable, a video upscaling processor may actually make the image look worse. Especially when displayed on large screens, as defects already present in the source signal are magnified, along with the rest of the image. In practical terms, what this means is that while upscaling DVD and DVD-quality sources to 1080p and even 4K can look pretty good, upscaling poor signal sources, such as VHS (especially recordings made in the EP speed, analog cable, or low resolution streaming content) can deliver mixed results. Upscaling can actually be performed by several types of components. For example, DVD players that have HDMI outputs also have built-in upscaling so that DVDs will look better on an HD or 4K Ultra HD TV or video projector. It is also important to point out that all Blu-ray Disc players have built-in video upscaling for providing better quality playback of standard DVDs. Also, many mid-range and high-end home theater receivers, in addition to performing their role as a source switcher, audio processing, and amplifier, may also provide built-in video upscaling, and, in some case, provide image quality adjustment settings similar to what you may find on a TV or video projector. In addition, HD and Ultra HD TVs and video projectors have their own built-in video processors that can perform video upscaling functions. However, one thing to keep in mind with reference to video upscalers is that they are not all created equal. For instance, although your TV may provide video upscaling, your DVD or Blu-ray Disc player may be able to perform the task better. By the same token, your TV might do a better job of video upscaling than your home theater receiver. In all cases, except for TVs and video projectors, whose upscalers are always on, the video upscaling functions in a DVD, Blu-ray Disc Player or home theater receiver can be turned off, allowing the native resolution signals coming from each source to be untouched until they reach the TV. However, if you leave the upscaling function your source devices or home theater receiver turn-on, they will supersede the video upscaling in the TV or video projector. For example, if you have a 1080p TV and the signals coming are either native 1080p or previously upscaled to 1080p - the TV becomes neutral. This also applies to 4K Ultra HD TVs - if the incoming signal is native 4K or already upscaled to 4K. If you have a set-up that includes a 1080p or 4K Ultra HD TV or video projector and you have source components or a home theater receiver that can also perform upscaling functions, you have to decide which does the better job (in other words what looks best to you) can set the video output resolution of your source components accordingly. Of course, there are some exceptions to the rule as some higher end 1080p or 4K Ultra HD TVs may provide some additional color or other image processing no matter what the incoming signal resolution is. For example, with the Ultra HD Blu-ray Disc format that was introduced in 2016, as well as some 4K streaming sources, also may contain HDR and Wide Color gamut information that the TV must process before displaying the images. What Looks Better Upscaled DVD or Blu-ray? Connect Your Blu-ray Disc Player The Right Way!